R1.8 Explain how an author uses reasons and evidence to support particular points in a text. R1.4 Determine the meaning of general academic and domain-specific words or phrases in a text relevant to grade 4 topic or subject area. 1. Describe two of the pranks that Mullet Fingers pulls at the construction site. 2. How does the relationship between Roy and Beatrice change over the course of the novel? 3. In Chapter 15, Roy declares that “Just because something is legal doesn’t automatically make it right.” Do you think that Officer Delinko would agree with this statement? Why or why not? 4. 1. How has Roy’s attitude about living in Florida changed by the end of the novel? How do you know he feels differently? 5. One major theme of Hoot relates to the environment. What message about the environment does the author want readers to remember after reading this novel? 3. Read and use vocabulary words in a sentence. As students grow into independent readers, they are expected to identify and understand basic elements of a story, including the narrator’s point of view. They may not realize, however, that narrators can differ based on how much they know and the type of bias that shapes the telling of events. Students must use critical thinking skills to determine who is telling the story and how much that narrator knows and understands. Students need to think about whether the narrator is a first-person character in the story or a third-person storyteller who is removed from the events. 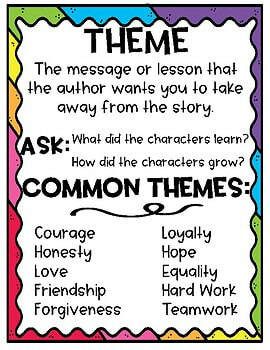 At home, help your child to think about how a story might change if a different narrator told it. • tells the story as he or she sees it, with feelings and opinions My mom wondered if I was okay. “You’re doing your homework early today, Molly,” she said. I usually waited until the last minute. But not today. • reports on the characters and events, usually without feelings or opinions Molly’s mother saw that she was doing her homework early. Her mother asked if she was okay. Molly usually waited until the last minute. But today she didn’t. Is the narrator a character in this story?